On January 29, 2014, our very own Denise Jacques, President of the OCCAPA was a Guest Speaker at Irvine Valley College. This was part of our educational outreach to promote the goals of the APA and the goals of our chapter. She spoke to the Payroll Accounting and Taxation Class of about 40 students. Denise provided the attendees with education on the importance of becoming a CPP/FPC Professional. She exposed them to our vision and encouraged them to become involved in their own local chapter. Networking and how to look for a job in accounting was also part of the subject matter. Connie Simpson, Government Liaison Officer presented the same subject matter to a group of receptive students at Golden West College on February 6, 2014. Our 60-day self-sufficiency program in Laguna Beach, for which there is always a waiting list, provides a home, three meals daily and a wide range of support services for 32 men and women. Residents are expected to work, save money and develop skills to rebuild their lives. Graduates may apply to Henderson House Transitional Living apartments located in San Clemente, where 25 residents live for up to one year, allowing them to consolidate their gains and continue on the path to fully productive lives. The agency is funded through the generosity of philanthropic individuals, foundations and organizations throughout the area. Since its inception, more than 5,000 adults have been the recipients of vital services. 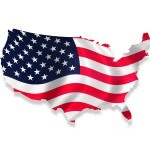 Residents come from a broad range of personal and geographical backgrounds. We receive referrals from across Orange County from social workers, church and community organizations, chemical dependency and alcohol recovery programs, mental health agencies, hospitals, and other social services programs. Anyone may call at any time to determine whether he or she is a candidate and to learn more about the program and procedures for acceptance. The OCCAPA participated in our first Christmas Toy Drive at our December Breakfast meeting, December 9, 2015. It was fun and rewarding to participate in the Toy Drive. We are very happy to help and provide hope to less fortunate children of the Orange County Ronald McDonald House and for them to experience the joy of Christmas. The OCCAPA continues to play an active role in the development of children. It was very nice to unite our members to a common cause. Robyn Diehm, Director of Educational Events, and Study Group Coordinator, delivered the toys collected to the Orange County Ronald McDonald House. 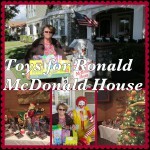 Thanks to all who donated toys for the Orange County Ronald McDonald House.